BATT Tempura quickly gained devotees for its perfectly cooked tempura when it first opened a makeshift “eatery” in Baan Ekkamai’s parking lot. 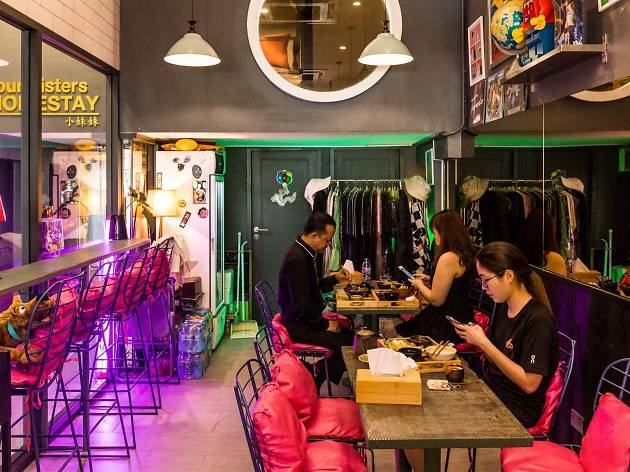 In order to appease a wider group of diners who may not find it pleasant to eat while squatting on low chairs in a humid, open-air space, chef/owner Chatphon “Mo” Thavornvanit has moved his restaurant to a hole-in-the-wall spot inside a shophouse in the burgeoning Talad Noi area. The new BATT Tempura has been dressed up to look like a cool (possibly moneyed) young man’s digs. 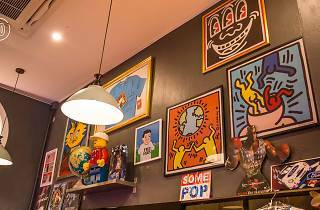 Collectibles like vintage vinyl, framed comic strips of Joan Cornella and rare, limited-edition Reebok trainers line the walls, nooks and crannies. 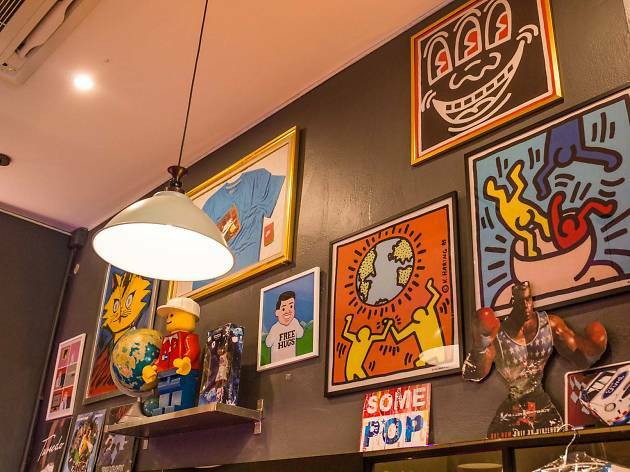 Also on display (and for sale) are racks of oversized, vintage-style T-shirts that bear the BATT label. 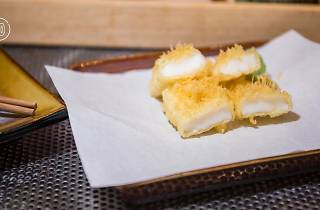 Chatphon, who honed his cooking chops at Okura Prestige’s Japanese restaurant Yamazato, has perfected the art of battered bites. 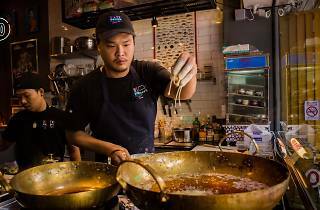 His technique includes lightly dipping theingredients into the batter and then splashing them with more batter while deep-frying. 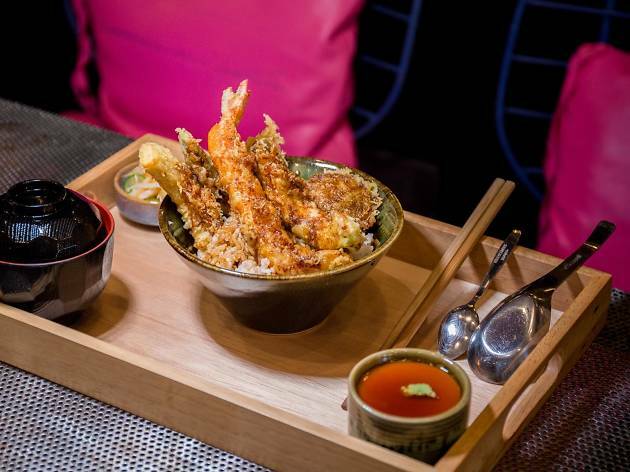 The result is tempura with a thin, light yet crispy crust, and meat that still tastes moist and tender. 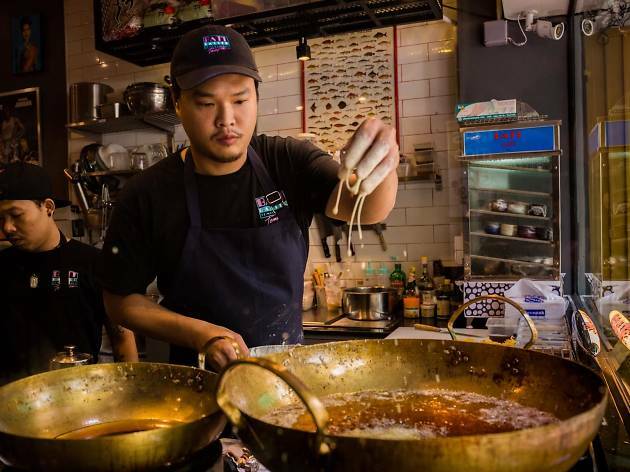 Also noteworthy is how the young chef sources his seafood from only two local suppliers—Piya Thedyam and Pichitchai Phaitong, the purveyors of sustainable fishing in southern Thailand. 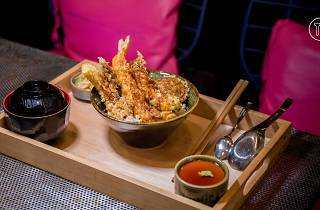 To promise the freshest dining experience, tempura choices vary depending on the day’s catch. 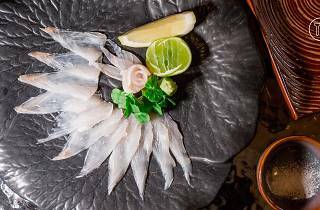 On our visit, we were served banana prawn tendon with onsen egg and pickles (B570/set), and juicy pharaoh cuttlefish (B280). 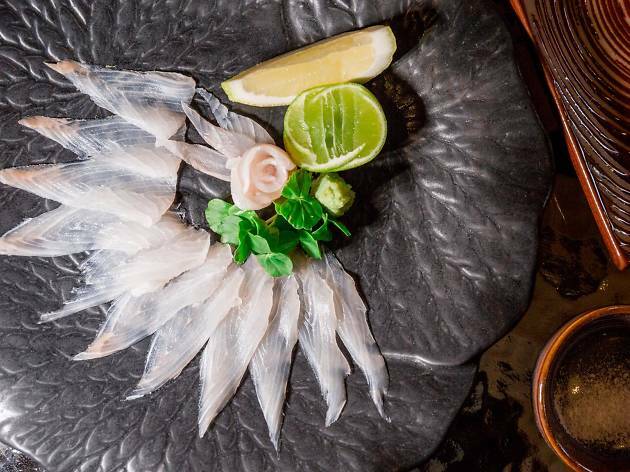 Also making its way on the menu is thinly sliced sashimi of local cobia (B350).